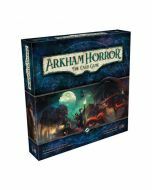 Here, your team of investigators embark on a scientific expedition to the rainforests of Southern Mexico in two new scenarios, each of which can be played as a standalone adventure or can act as the beginning of a new campaign for your team. 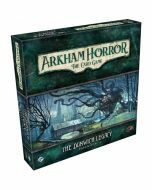 This expansion introduces five new investigators to Arkham Horror: The Card Game along with sixty-four player cards and eighty-seven encounter cards, including an all new exploration deck that presents new challenges for you to overcome as you find yourself falling into The Forgotten Age. This is not a standalone product. 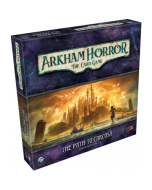 A copy of the Arkham Horror: The Card Game Core Set is required to play.